How has your year been so far? 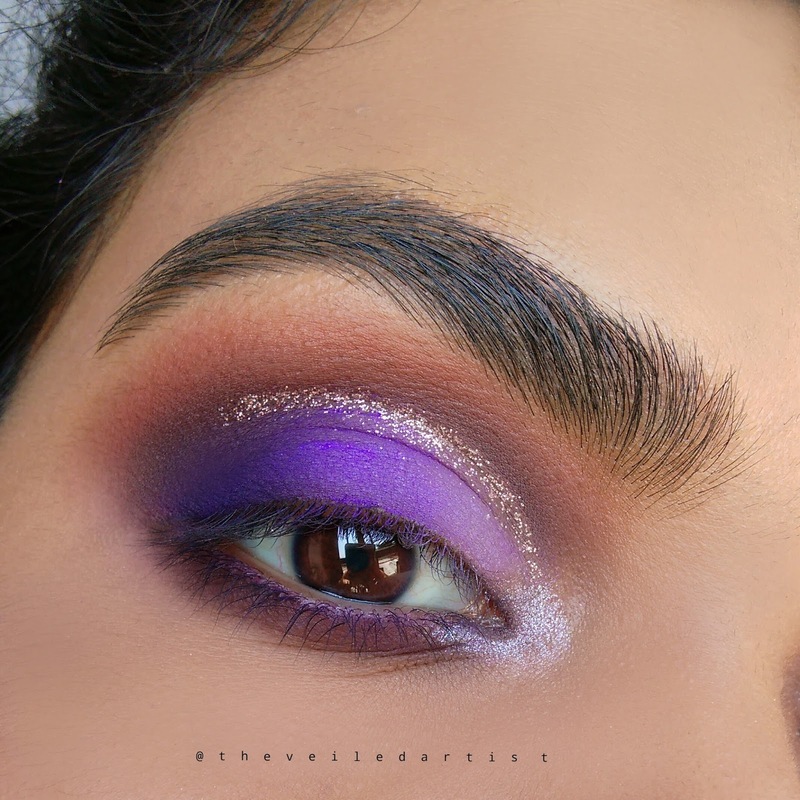 I am back from a short little break with today's tutorial on this gorgeous, blended, purple ombre eyeshadow look with a silver glitter cut crease. So let's get started on the very first tutorial of 2018 haha! 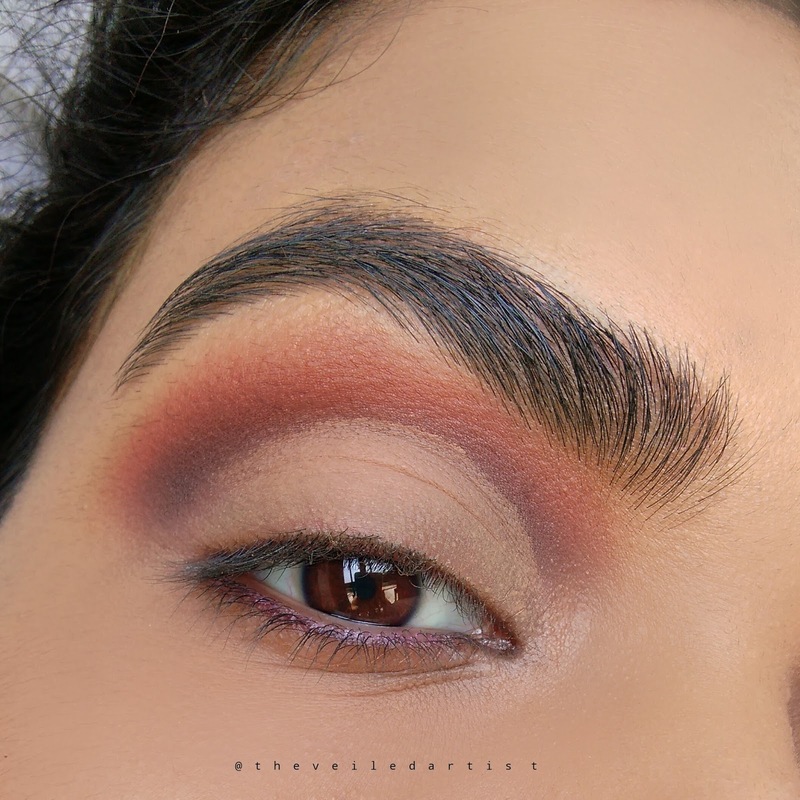 Blend the warm matte brown eyeshadow into your crease and a little above it. 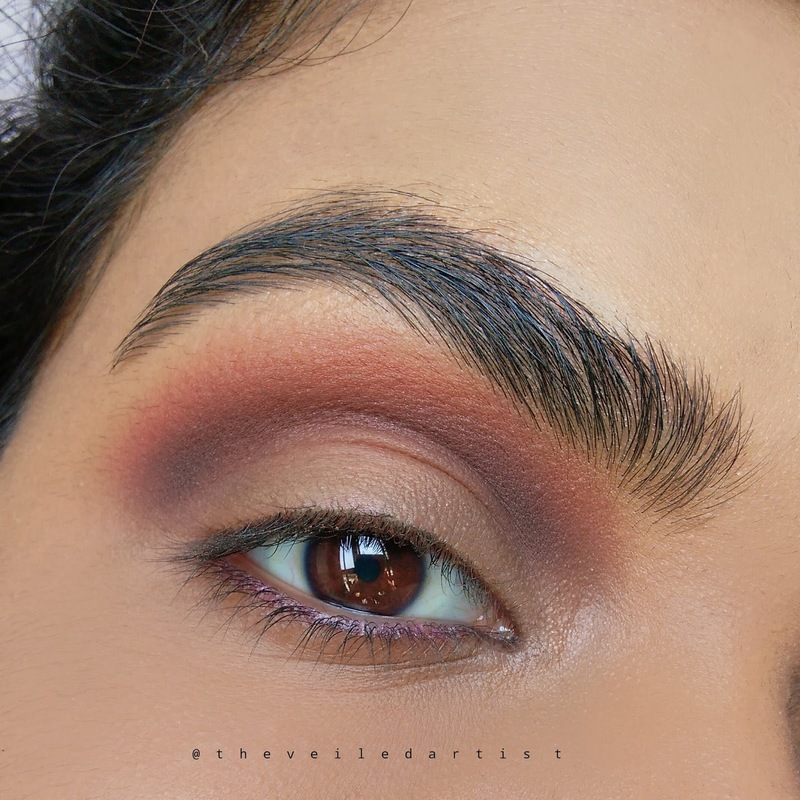 Blend the deep taupe shade into your crease but keep this strictly in your crease and don't diffuse it too much like we did with the previous shadow. 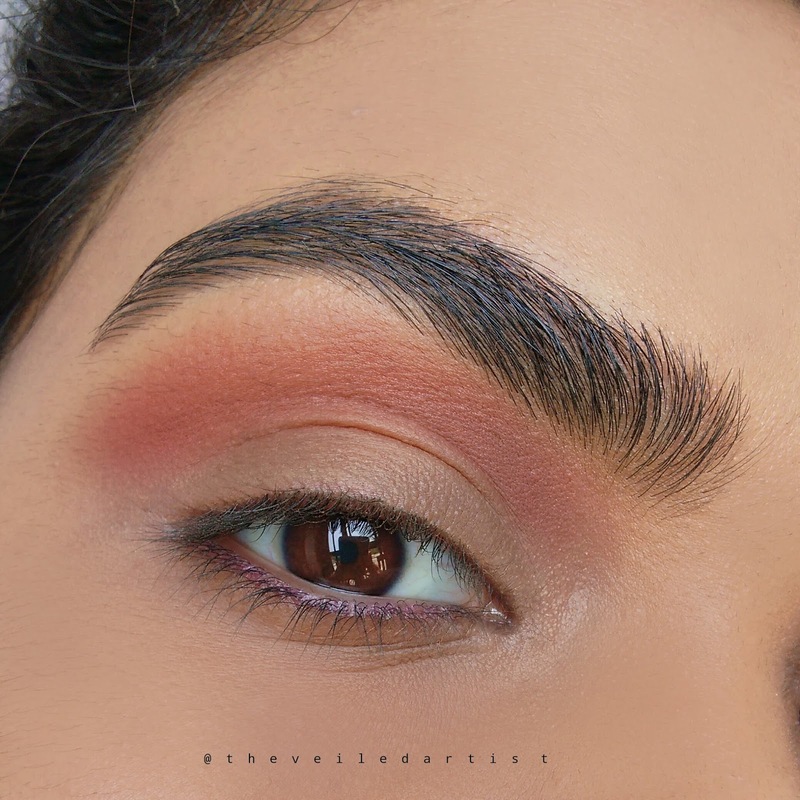 Using concealer/foundation on a flat precise brush, carve out your crease in a half moon shape and slightly pat and blend the edges of this concealer out. Next, set all the areas you used the concealer/foundation with a powder. 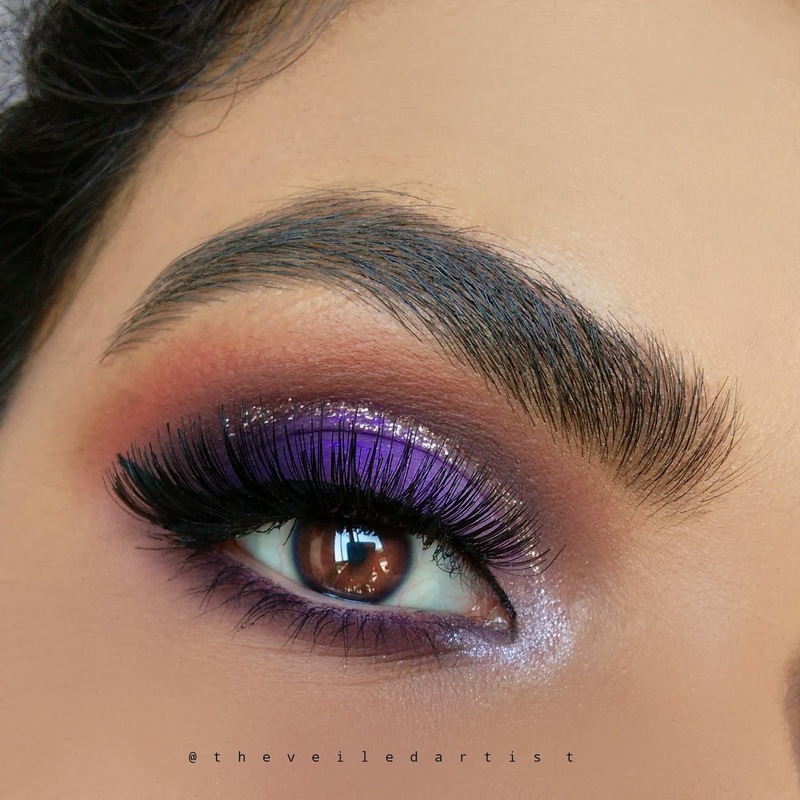 Pat the purple eyeshadow onto the center of your mobile eyelids and blend the edges out slightly but make sure to keep the top edge precise. 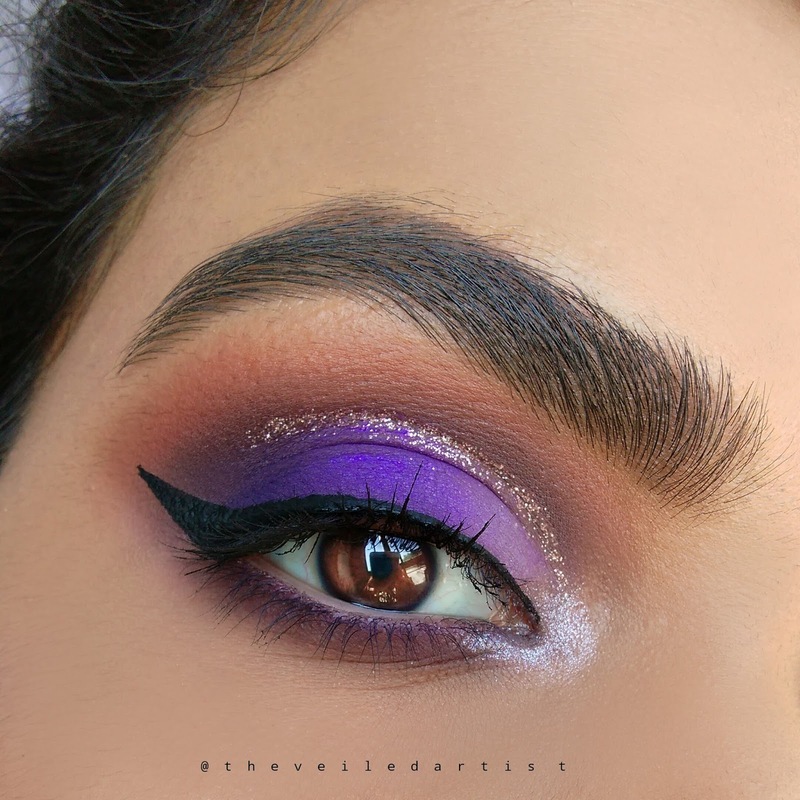 Now apply the lavender eyeshadow into the inner one third of your mobile eyelids and blend it into the purple we previously applied. I switched between a brush and using my fingers while blending these shadows as I found that it helps make the transitions between the shadows appear more seamless. 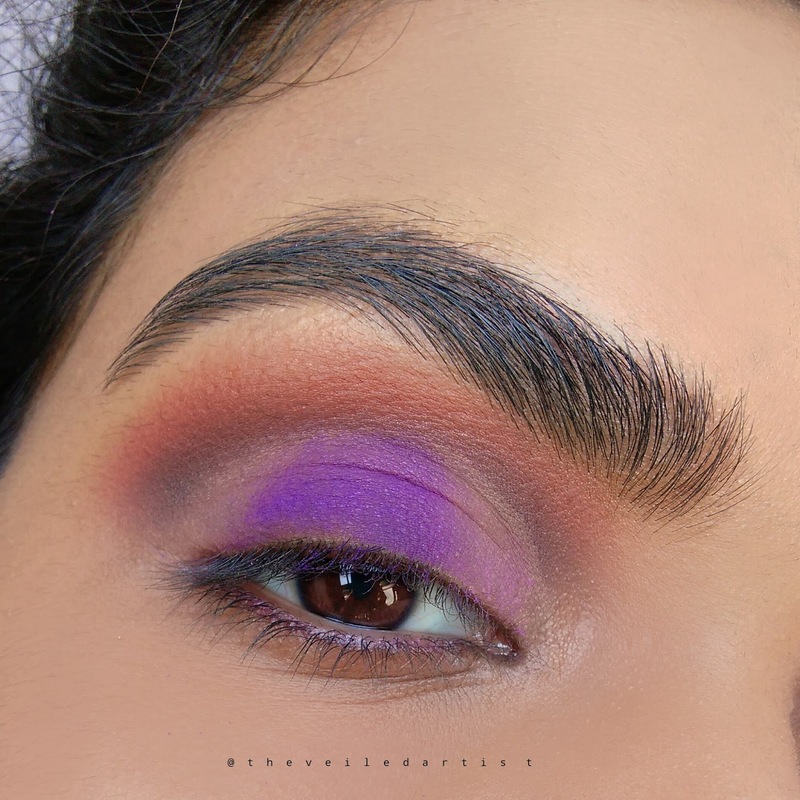 Blend the deep purple eyeshadow into the outer third of your mobile eyelids in a c shape and also blend it into the purple in the center of the eyelids. 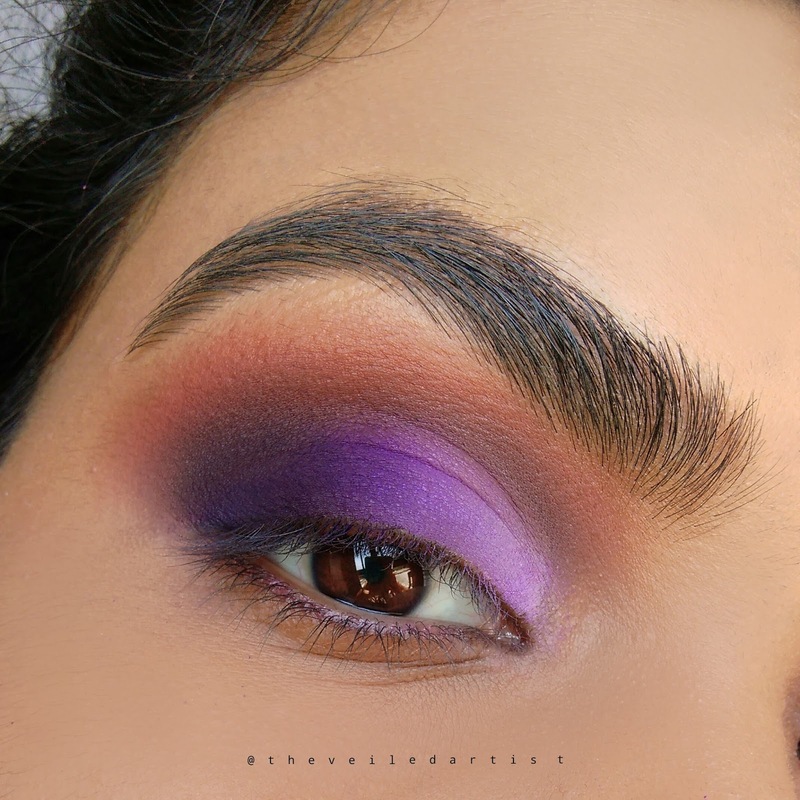 Finally blend this deep purple slightly in the outer crease as well but make sure to not bring it too far into the areas where we cut the crease. Now for the fun part! 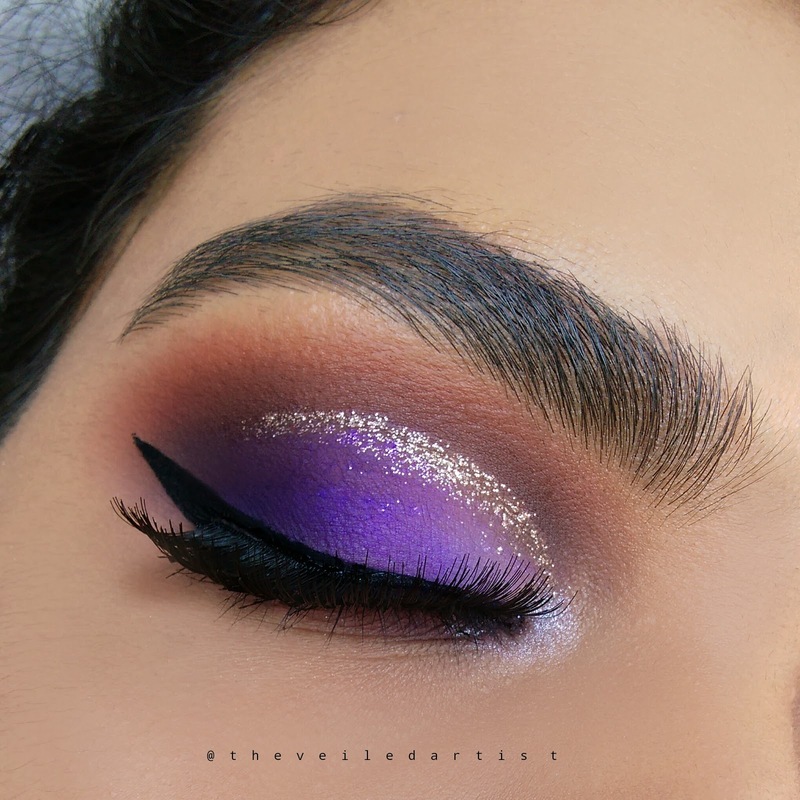 Add a line of glitter right on your cut crease and slightly blend it into the purple shadows as shown below. 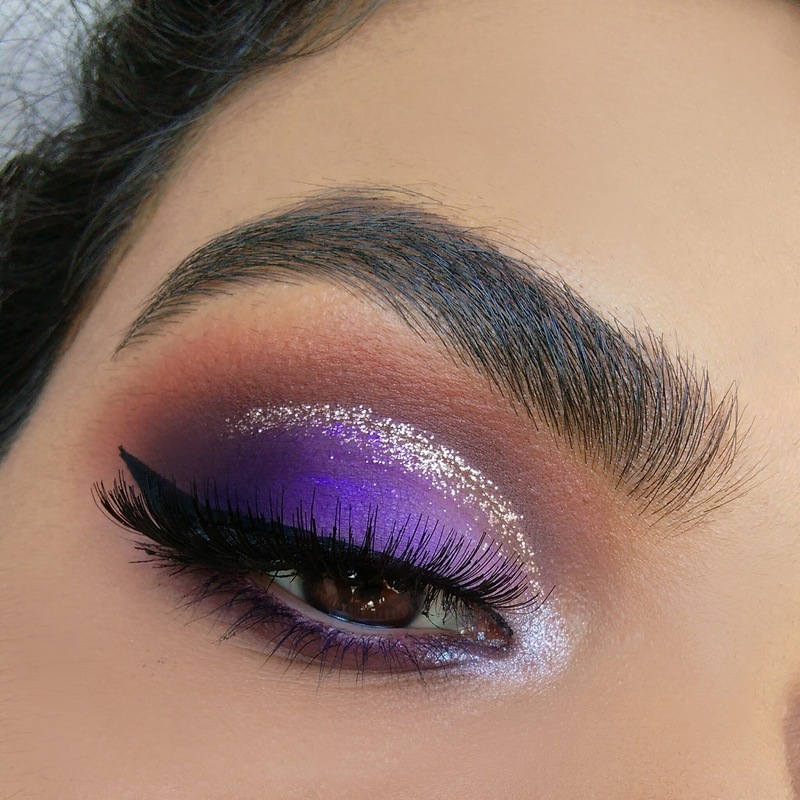 You can use a silver glitter liner for this step if own one but I drew on the line using the Festival Face Glitter Fix gel and then slowly built up the glitter using a small precise brush. 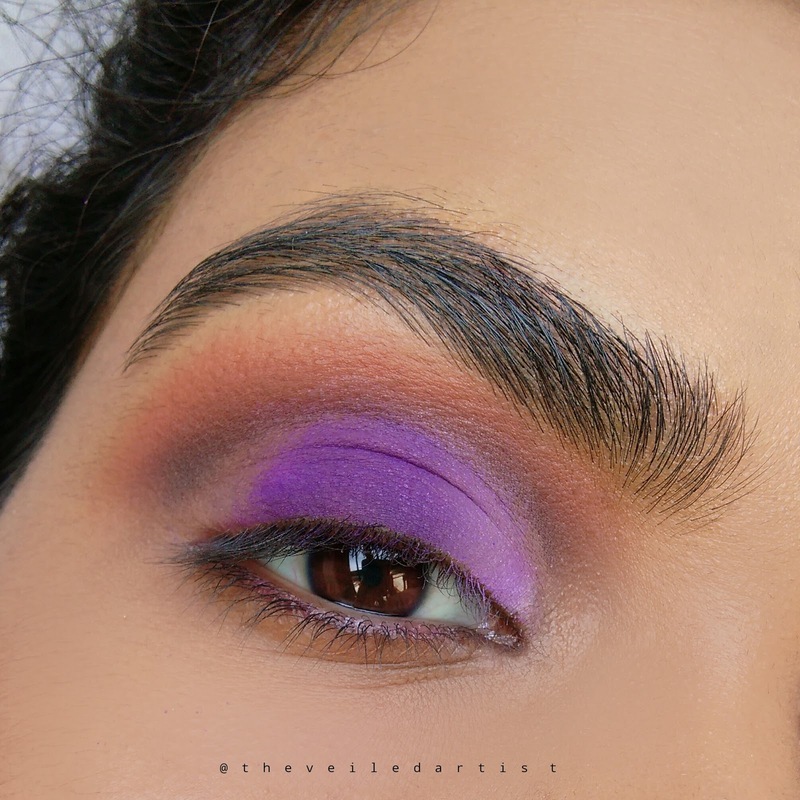 Blend the deep purple eyeshadow we used in step 6, all along your lower lashline. 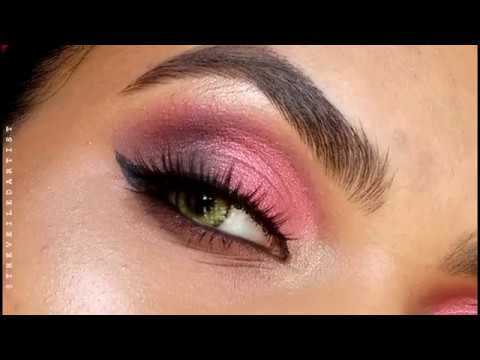 Then, apply the shimmery white eyeshadow into the inner corners of your eyes and the blend the edges out into the shadows on the eyelids and lower lashline. Do your winged liner and apply mascara. I also lined my lower waterline with a white eyeliner pencil just to brighten up the eyes a bit. 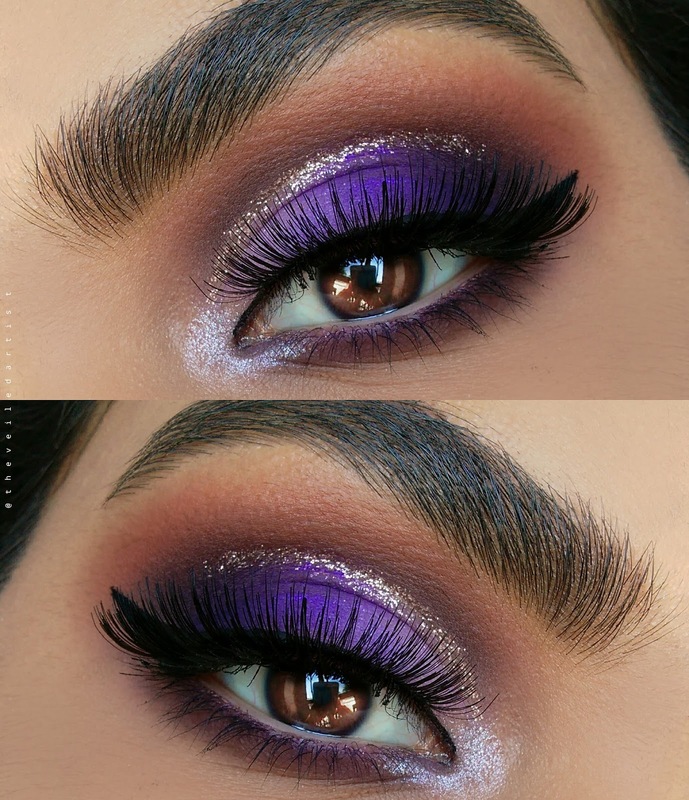 You can honestly stop this look here if false lashes aren't your thing and be done because it already looks so good. But I decided to add a pair of falsies for extra oomph!! And you're done loves! 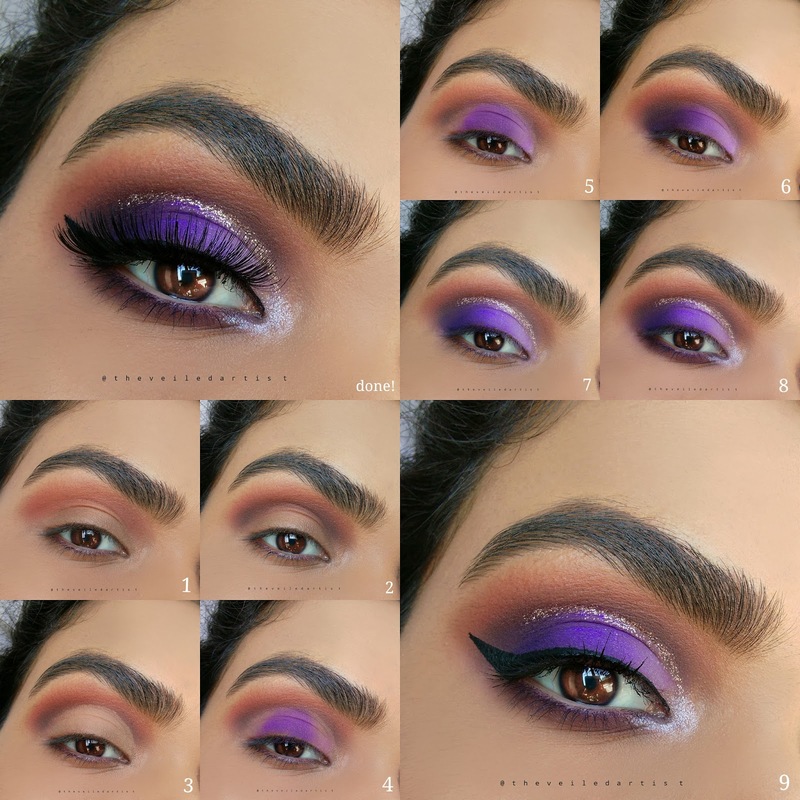 Scroll down for the full products used list and pictorial! And maybe extra shots of this look haha. A mixture of LA girl pro concealers in Fawn and Pure beige used to cut crease and prime eyelids. Thank you so much for reading my loves! I hope you enjoyed today's tutorial! You can check my last post here. 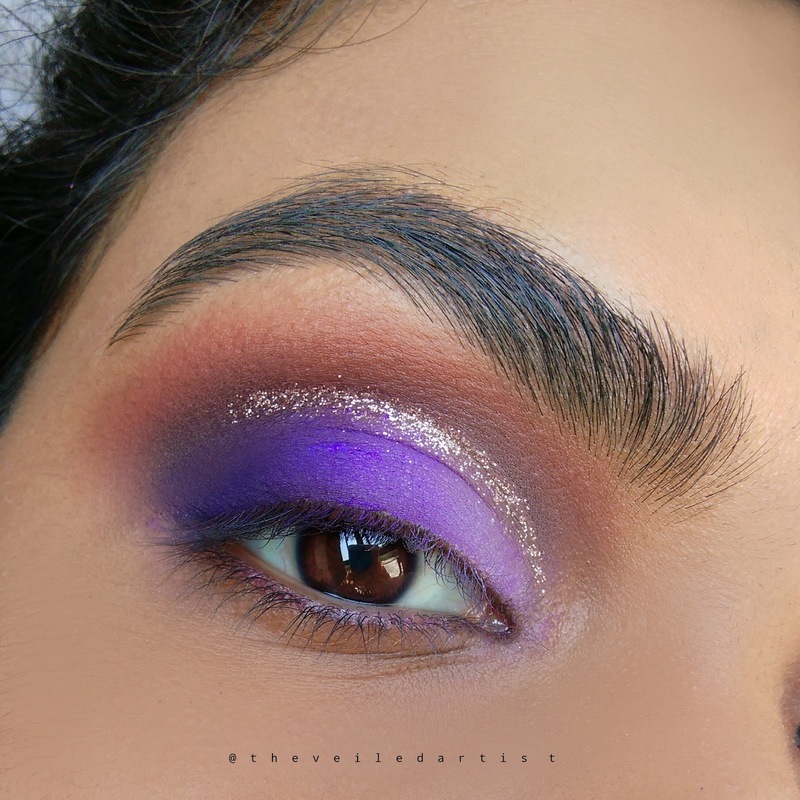 It was my Black Glittery New Year's Eve Look and my last tutorial here, which was on a gorgeous all matte ombre pink eyeshadow look!